Buying your own house is like a dream come true for every person. Buying your own house is like a dream come true for every person. However, the mortgage payments usually account for over 30% of the monthly income for most of the homeowners. If you are determined to manage your budget, then read along to get some useful tips on how to save on your mortgage payments. Real estate is one of the most lucrative investment decisions that offer huge returns in the long run when you sell your property. However, it is undoubtedly an expensive deal that involves a huge amount of your savings and even generates the need to take out loans. As a result, every home buyer looks for ways to trim one or the other housing expenses to manage his budget. There are definitely some ways to get some extra fund each month by cutting down your monthly mortgage payments and reconfiguring your monthly budget. If you get a financial windfall or a decent amount of tax refund, use the amount to make a big lump sum payment for mortgage amount. It is because one large lump sum payment can help you to reduce your monthly mortgage payments for the entire duration of the loan. When you have already purchased a property, it is the best time for you to reduce your monthly mortgage payments by extending the duration of the loan. However, this option will end up in paying you more interest amount over the long duration. But if you find this option suitable as per your budget plan, you can ask your lender to change the plan or term of the loan. If you can pay regular payments, this can help you to pay your mortgage amount faster. It is advisable to look for better rates and refinance options to match your purpose. Even with low interest rate, one can end up paying the amount that exceeds any real saving amount. Hence, it is important to take into account the fees charged for making your desired changes in the original loan. Moreover, your negotiation skills are required to get the best rate, which could help you in saving on your mortgage. Your positive personal record, high credit score and a strong credit history play a crucial role in negotiating for the loan terms. If you are not able to make your regular mortgage payments due to financial issues, you may find Home Affordable Modification Program (HAMP) helpful in saving on your mortgage payments. It requires you to meet certain eligibility requirements and demonstrate your financial hardships. Hence, it is advisable to ask your lender about the program and find ways to modify your mortgage payment schedule to keep the monthly budget in control. Switching to bi-weekly payment option as a replacement of monthly payment can help you significantly to save on your mortgage payments faster. However, for this type of payment, your lender may charge you a high upfront fee. Hence, make sure that you factor this extra payment if you choose to select bi-weekly payment system. 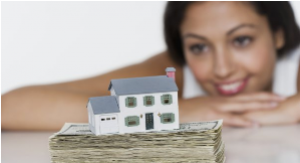 This is another possible option to help you in saving on your mortgage payment. Check if you are eligible for Principal Reduction Alternative (PRA) program, which helps you to make your home much affordable. As a matter of fact, any homebuyer is eligible for PRA program if the worth of his house is less than his mortgage and payments exceed 31% of the pre-tax monthly income. Also, if a homebuyer falls behind the mortgage payments, he can chose PRA program option and save money every month on mortgage cost. If you have already paid for PMI at the time of signing loan agreement, you can definitely ask your lender to revoke it if your mortgage balance amount falls below 80% of the appraised value of the home. This would help you to save a little more every month on mortgage payments. So, follow the above discussed strategies and relax as you are completely ready to save on your mortgage payments!